​This was our first week back after spring break! We’ve already started planning our Healthy Aging Project for the quarter and my group submitted a proposal for an intergenerational walk called “Walks of Life”. We took into consideration that it might be difficult for some seniors to take part in walk that spans several miles, so we are planning on making it span no longer than 1-2 miles or about 3 kilometers. 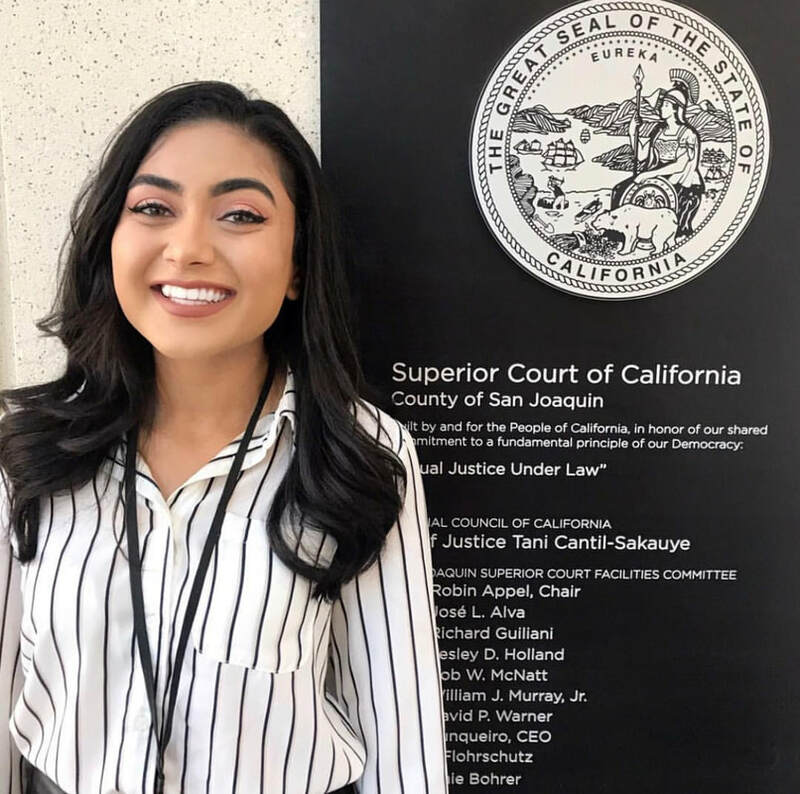 To make it intergenerational, we are planning on reaching out to UCSD students and even local high school and elementary school students to attend the event. We are currently trying to finalize the venue, but due to the lengthy time it takes to secure permits for outdoor venues in conjunction with our restricted timeline to make this event happen, we are struggling a little bit. However, if we cannot secure a venue that requires permits, we have a few venues in mind that are public places that will not require such permits. This healthy aging project aims to establish a sustainable event that fosters intergenerational interaction, connections among community members, and increase awareness of healthy and accessible physical activities such as walking. Studies have proven that seniors that partake in regular physical activity, such as walking, have a reduced likelihood for chronic conditions and have improved heart health. We hope to inspire the seniors that partake in this event to become more physically active. We have a budget of $800 and we are going to start seeking sponsors to cover certain costs for the event such as snacks, water, t-shirts, and flyers. It’s going to take quite a bit of effort to make this event happen under a restricted budget and timeline, but I have full confidence in my group and in myself to accomplish this! Wrap Up of Winter Quarter and Planning for Spring! On March 9th, we put on a prom at the West Senior Center. We had visited this center once earlier in the quarter, so we were already familiar with a lot of people in attendance. 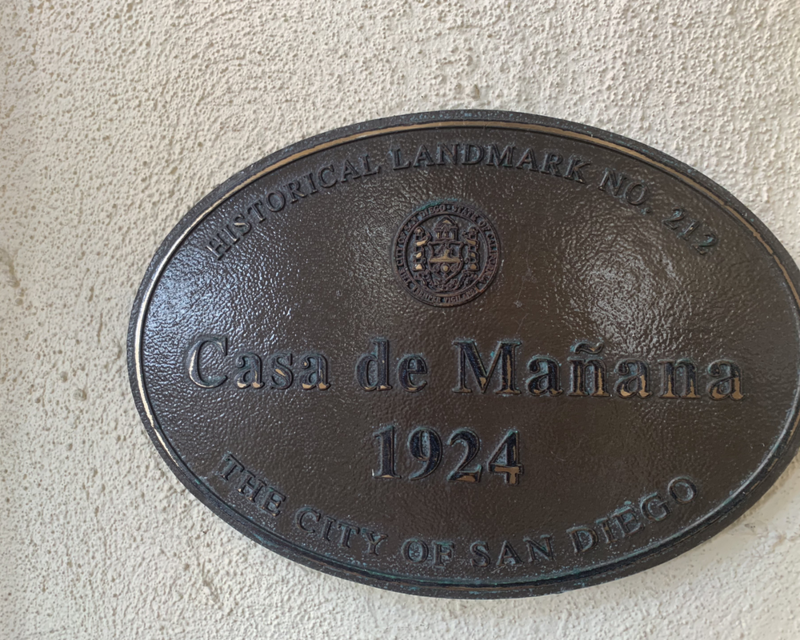 It was difficult planning this prom after we had already put on the prom at Casa de Mañana because of the stark differences in quality of life between the two populations. The residents at Casa are well off, very healthy and look great for their ages, and are living in luxury; whereas the folks that come through the West Center are living at or below the poverty line, come to the center to receive a hot meal that they might otherwise not have, and overall seem less healthy than the residents of Casa perhaps due to the high costs of healthcare. We put together several items that we could raffle off to the folks at the West Center, and they were very simple things such as a plant or a $10 gift card to Subway but they were still ecstatic to receive these things. We also put together goodie bags for all in attendance also comprised of simple things such as socks, toothpaste, and soap. We also created a photo booth backdrop where attendees could take a polaroid as a take home keepsake memory of the event. Everyone in attendance seemed very happy that we could put this event together for them and so many people came up to me to personally tell me thank you. It was a very heartwarming experience. On Saturday, we met as a group and took a tour of affordable housing option for seniors in San Diego. We visited six different sites downtown and ended with a seventh site in North Park. Melinda Forstey, the Chief Administrative Officer of Serving Seniors, had debriefed us at the first site with statistics regarding the state of housing in this country for seniors living below the federal poverty level of $12,490 as an annual income. First of all, while this federal poverty level has been adjusted for inflation, it still is based on the 1955 living of the average family spending one third of their income on food. We are all aware the costs of housing have dramatically increased since then, especially the high rates in San Diego. 11% of seniors aged 65 or older in California live at or below this federal poverty level. Representatives have attempted to adjust legislation to update the federal poverty level to reflect accurately to living standards of today, but not much has actually been done. As a result, many seniors have incredibly limited options for affordable housing, and the options that exist are often burdened with lengthy waitlists that don’t really move because that would require another senior to move out. 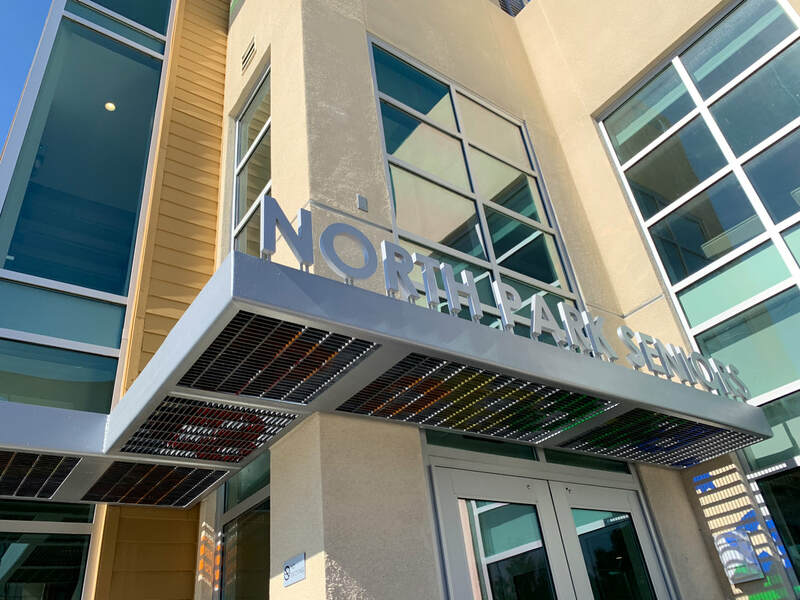 ​It was really exciting to see the North Park Senior Apartments because it is such a modern and progressive unit that truly paid attention to detail. It is a community that is entirely welcoming of LGBTQ seniors, and it serving as a national model for similar future developments. The complex encouraged reduced automobile dependency by offering much fewer parking spots than there are apartments, but residents seem happy to give up their car in exchange for living here. The community of residents just seems very well integrated and it was beautiful to see how they each decorated their doors to reflect themselves as a part of something bigger. There were so many shared open spaces all throughout the complex, all organized with different colored floors to engage the memory of the older residents. It’s truly a one of a kind and innovative project, and I hope that future affordable housing units can take note and grow from here. This week we had our site visit at the Gary and Mary West Center. Before we took a tour, we were briefed for about thirty minutes on what to expect. We had learned that a majority of the people there were under the national poverty level and were incredibly dependent on Social Security Income. This money, however, primarily covers their costs for housing because rent costs in San Diego are so expensive. Therefore, a lot of the people there are dependent on the center for food. The center provides breakfast and lunch every day, 365 days a year and free of cost. Not only that, but the center also takes care of basic doctor checkups, dental care, and provides resources and referrals to legal and psychiatric services. Health in elderly people is reliant on healthy and nutritious foods, and not only that but a healthy social life can also significantly aid health. At this center, all these things are provided in order to maintain health in the people that come there because in the long run, that makes things much easier and affordable than having to cover healthcare costs of a person with already deteriorating health. A lot of the people I had spoken to there said that they were alone and without family in San Diego, or that if they did have family there, they were too afraid to live with them because they felt that they would be a burden. It’s heartbreaking to hear these stories but witnessing first-hand how this center had acted as a means of gaining a second family was really great. You could really tell that a lot of these people have formed strong friendships and bonds with each other because they see each other there every day. This last Wednesday we went to the Bayside Community Center to do intergenerational Zumba! I had an amazing time and it was so great seeing women of that age still being so active and full of life. It was actually a full workout, and I was sweating by the end of it. I’m very impressed by the Zumba abilities of these women and I can only hope that I too will still be doing Zumba when I’m that age. I had spoken to a few of the women there and they were all incredibly sweet people. They took an active interest in learning more about my classes at UCSD and about my passions in life. One woman told me that classes only cost $4 a week so I’m convinced to maybe come back again some time. It was great to not only get to know these women a little better, but I feel like I also go to know some of my classmates a little better too. We all let loose and had fun together, as opposed to a normal UCSD classroom environment which tends to not promote as friendly of an engagement. I’m very excited for our trip to the Casa Da Mañana Retirement Community next week. Although it was very fun to do Zumba with these women, I’m excited to have an opportunity to sit down and have a real talk with some residents there next week. It’s always interesting to hear some stories of people from different walks of life, and I’m sure they have some amazing stories to share. And I love seeing the look on people’s faces when you genuinely want to know more about them!